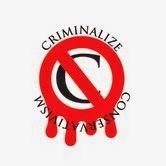 Criminalize Conservatism: Who Started the Impeach Obama Rumors? Who Started the Impeach Obama Rumors? The GOP is making history again with a lawsuit against...the President! The suit has been the subject of a rumor that it is just the prelude to another impeachment, which the Conservatives vehemently deny...in fact they are wondering if the White House isn't responsible for the "rumors." "Who Started the Impeach Obama Rumors?" "Republicans opened a Pandora’s box when they started talking about impeaching President Barack Obama. "Now they want to shut it again. But they can’t. "For the past year, conservative Republican lawmakers have hinted at the possibility of impeaching the president, a drastic action that ultraconservative members of Congress likely want to pursue and an issue that rallies the GOP’s conservative base. As it turns out, it rallies the Democratic base as well..."
"Fox News Has Your Obama Impeachment Conspiracy Theory." – Fox News’s Andrea Tantaros on Outnumbered this afternoon. "It’s always entertaining when Andrea Tantaros tries to think, sort of like watching a kitten try to get its head out of a jar it somehow got stuck in. When Tantaros squeezes her eyes shut real tight and you can practically smell the smoke coming from the gears turning in her brain, you’re pretty much guaranteed to get some doozy of a statement.."
If it wasn't Faux News, could the impeachment rumors have been started by America's Sweetheart? "Sarah Palin Calls For Obama's Impeachment." "Sarah Palin is now calling for President Barack Obama's impeachment. "In a column published on Breitbart.com Tuesday, Palin accused the president of 'purposeful dereliction of duty,' likening Obama's treatment of the United States to that of an abusive spouse. "'Enough is enough of the years of abuse from this president,' Palin, the former governor of Alaska and 2008 GOP vice presidential candidate, wrote. 'His unsecured border crisis is the last straw that makes the battered wife say, "no mas..."'"
Or did Sister Sarah hear it from another source? "Sarah Palin Claims That God Wants President Obama To Be Impeached." "Since John Boehner doesn’t want to impeach Obama, Sarah Palin is appealing to a higher power by claiming that God wants President Obama to be impeached. "This is why, according to Sarah Palin, God wants Obama impeached.."
"GOP Rep: Let's Forget The Lawsuit And Just Impeach Obama Already!" "Rep. Walter Jones (R-NC) said in a radio interview Monday that the House needs to stop wasting time and money on suing the President and get straight to impeachment. "In the interview with the 'Talk of the Town' radio show on Greenville, N.C. radio station WTIB, which was flagged by BuzzFeed, Jones blasted the vote his colleagues took last week to sue Obama, saying he was 'one of the five' Republicans to vote against it. 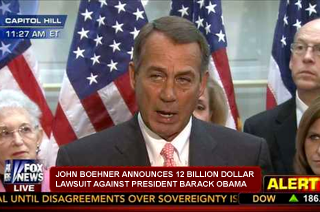 He said it would cost taxpayers too much money..."
"Boehner Announces $12 Billion Lawsuit Against President Obama." 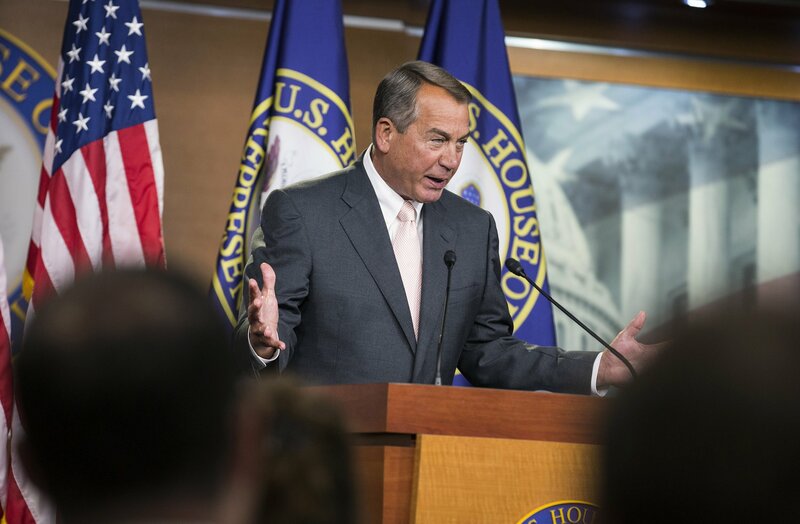 "Speaking at a press conference today in Washington, Boehner announced the dollar amount of the controversial lawsuit. "'The president overstepped his legal authority when he altered the Affordable Care Act and someone needs to pay for this. Obama’s "So sue me" attitude needs to stop. The American people need to see justice...'"
"Obama FINALLY Cleared of Wrongdoing in Benghazi Scandal: Here’s Why You Haven’t Heard About It." "Interestingly, it took three days for even a single cable news outlet to report or comment on the findings, even though the report was unanimously approved by the 12 Republicans and nine Democrats on the committee. "In the final segment of her MSNBC show on Monday, Alex Wagner finally reported: 'The latest news on the Benghazi scandal is that there is no Benghazi scandal...'"
The question still stands: For a bunch of political experts, why in the world are they suing the President right before the midterm elections? We doubt whether it's a White House plot, they have their own problems. Could it be the usual reason for the idiocies of the Conservative criminals these days -- that they're surrounded by their own constituency, the radical, racist Tea Baggers? As Lyndon Johnson once said, "Democrats legislate, Republicans investigate." When Conservatism is criminalized we won't have to put up with these expensive, time-wasting "investigations" anymore, and Congress will once again be able to legislate.